This booklet explains the various options available to split or share an Armed Forces Pension on a divorce or civil partnership dissolution. Information is contained that is relevant to the Service person and the estranged spouse. 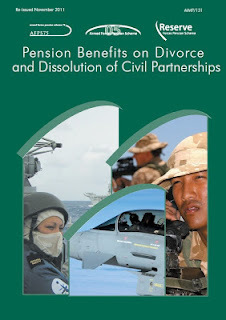 Solicitors dealing with an Armed Forces Pension on a marriage breakdown may also find this booklet useful.